2 - When do we collect Personal Information? 3 - What Personal Information do we collect from you? 4 - What do we do with your Personal Information? provide you, with your consent where required by law, with information by email, sms, mms, faxes, phone calls (automated or not), post, or any other communications means, about the latest news or special offers from Clarins which may be of interest to you unless you have opted to be excluded from these communications. This information will relate to the same products or similar products to those that you have purchased. You can inform us at any time and for free if you no longer wish to receive such information by sending us an email. 5 - Who do we pass your Personal Information to? We may share Personal Information collected via the website with third party service providers who perform services on our behalf based on our instructions in order to help us to operate the website, process your orders and queries or otherwise manage the customer relationship between you and us. These third parties may be located in or out of the European Economic Area (“EEA”), including in countries that do not provide the same level of data protection as in your country of residence. In such a case, we will ensure either (i) to obtain your unambiguous consent to share your Personal Information with these third providers, (ii) to use third providers self-certified under the Safe Harbour Program, or (iii) to enter into appropriate data transfer agreements conforming to the Standard Model Clauses established by the European Commission, to the extent required by the applicable law. In order to analyze the success of our marketing campaigns, we also implement other technologies such as web beacons. We use third-party web beacons from Yahoo! to help analyze where visitors go and what they do while visiting our website. Yahoo! may also use anonymous information about your visits to this and other websites in order to improve its products and services and provide advertisements about goods and services of interest to you. If you would like more information about this practice and to know your choices about not having this information used by Yahoo! please send us an Email. 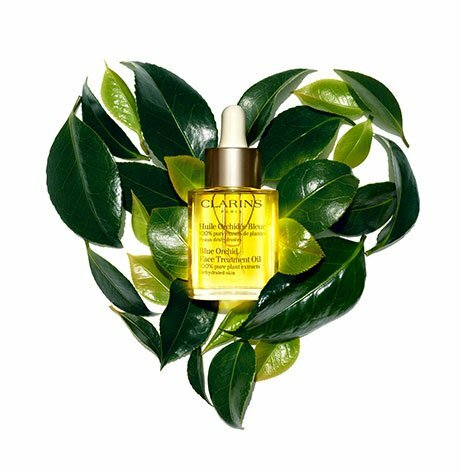 Please address your request to the data protection manager by email or to: Clarins Consumer Relations, 1 Park Avenue, 19th Floor, New York, NY 10016. We will address your queries in accordance with the regime established by the applicable legislation. Clarins licenses technology to serve advertisements on its own Sites and within its content as that content is served across the Internet. In addition, CLARINS may use third party network advertisers to serve advertisements and third party analytics vendors to evaluate and provide us with information about the use of the Sites and viewing of our content. We do not share Personal Information with these third parties, but ad network providers, the advertisers, the sponsors, and/or analytics service providers may set and access their own cookies, pixel tags and similar technologies on your Device and they may otherwise collect or have access to information about you, including Usage Information. We and our network advertisers may target advertisements for products and services in which you might be interested based on your visits to both the Sites and other web sites. We may use a variety of companies to serve advertisements.